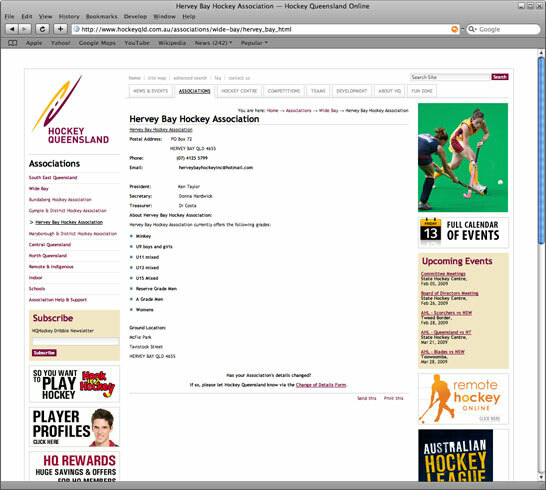 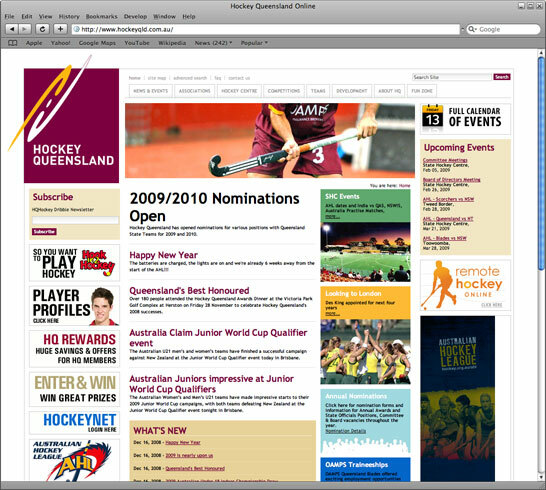 Hockey Queensland is based in southeast Queensland, conveniently located less than five kilometres from the centre of Queensland’s capital city, Brisbane.Hockey Queensland offices are located at the State Hockey Centre, Colmslie.The mission of Hockey Queensland is to promote, preserve, foster and encourage the growth and enjoyment of the sport of Hockey for Players, Officiators and spectators. 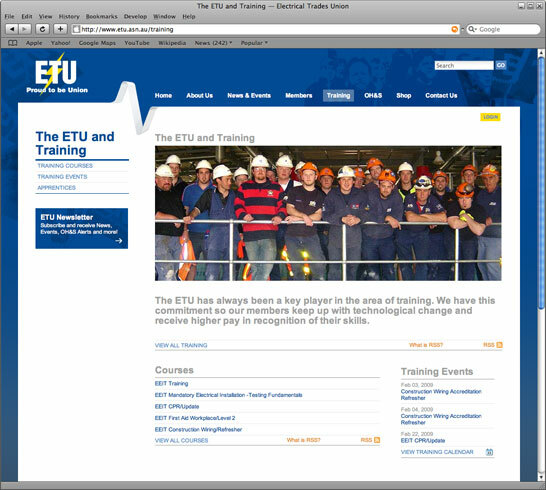 The ETU consists of more than 17,000 members. 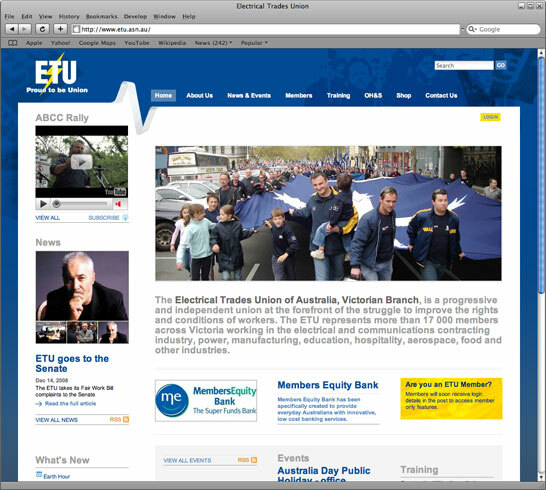 The ETU is one of the most successful unions in the country. 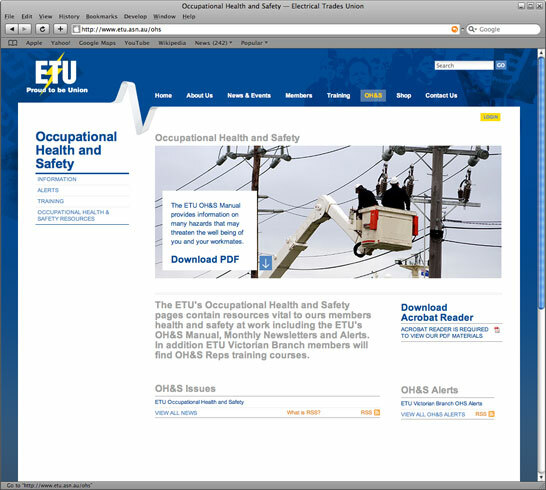 The ETU represents members during wage negotiations, ensures safe workplaces and provides training and employment opportunities. 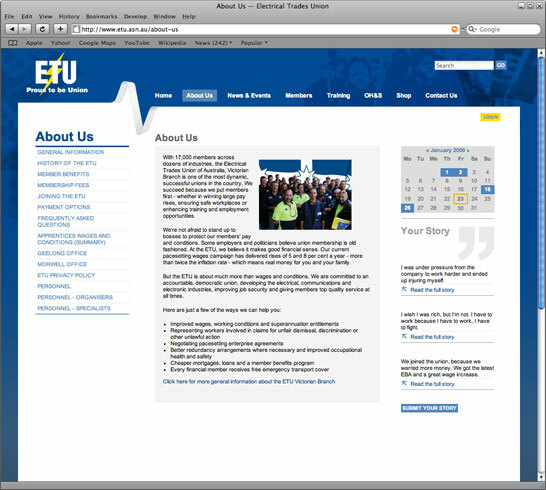 The Plone 3 installations provide a platform for the ETU and its members to communicate with each other. 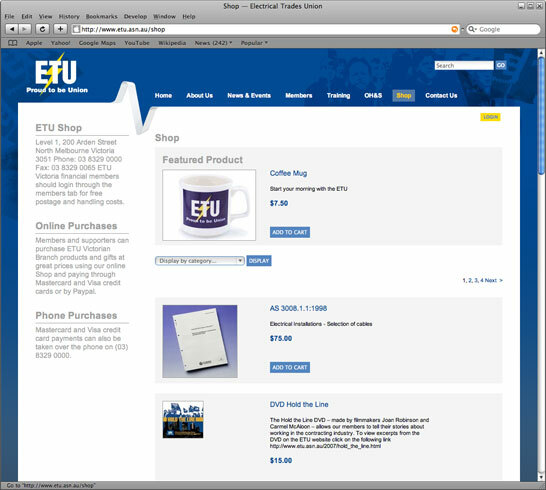 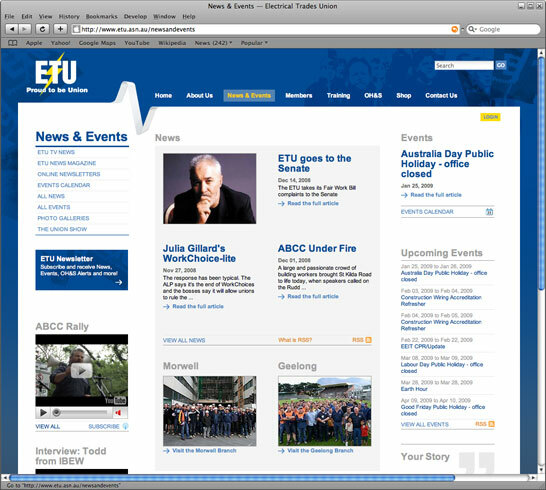 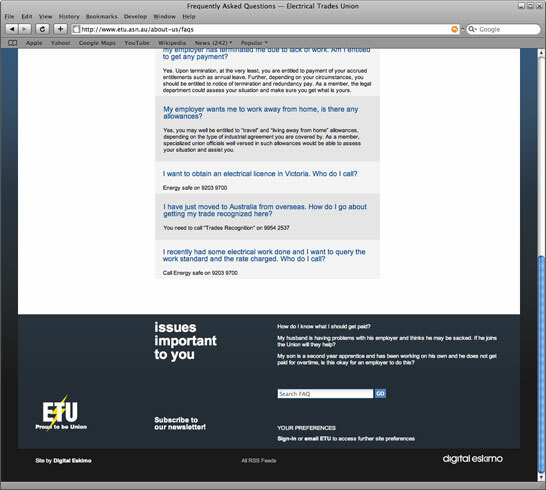 The system uses rich media such as video and is integrated with the ETU's member database. 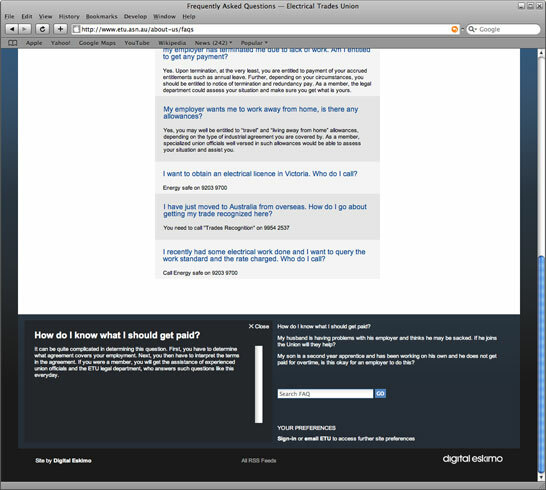 Mooball IT delivered all technical development and hosting services in a project managed by Digital Eskimo. 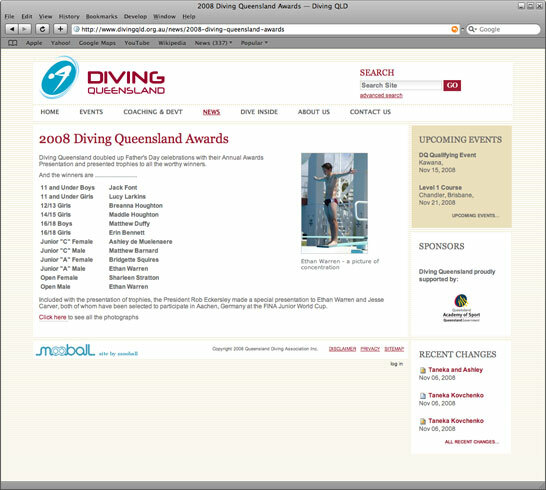 Diving Queensland promotes, preserves, fosters and encourages the growth and enjoyment of the sport of Diving in Queensland. 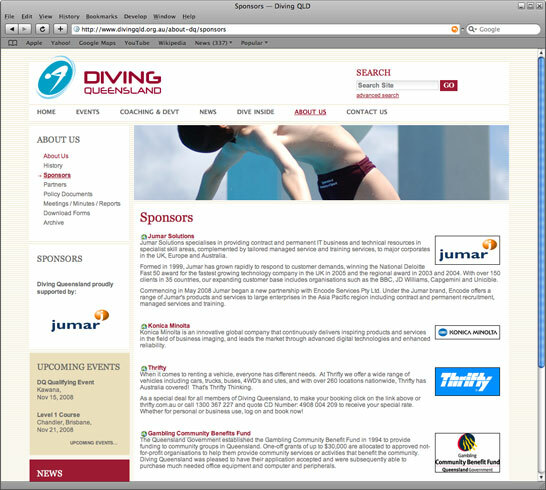 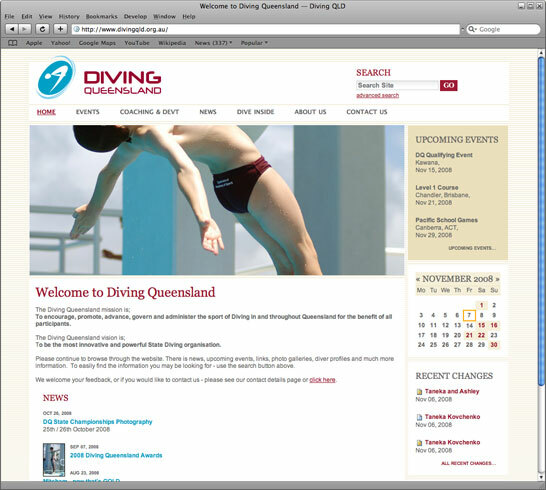 The Plone 3.0 CMS develoed for the Queensland Diving Association provides news and a wide range of information for visitors, players and officials. 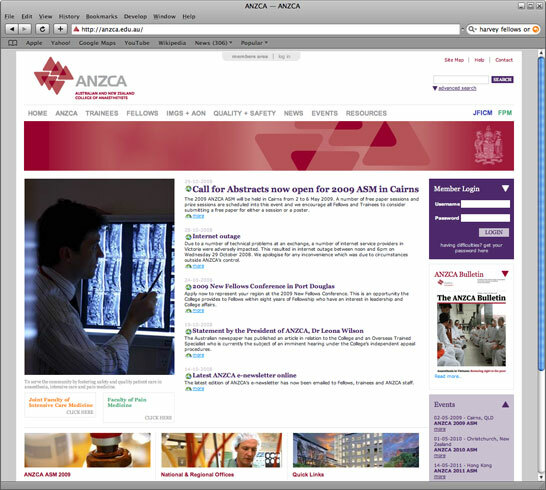 The Australian and New Zealand College of Anaesthetists. 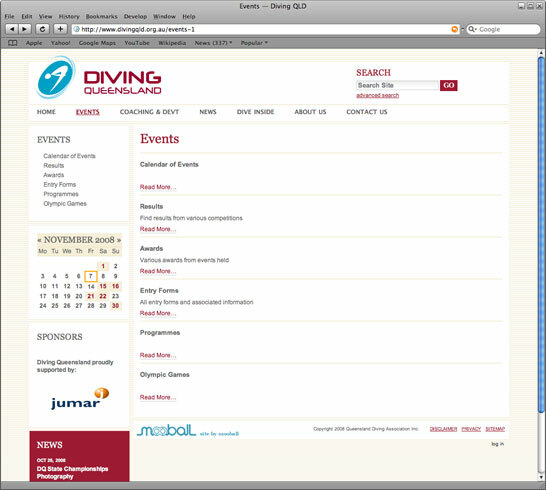 Plone development and web services integration. 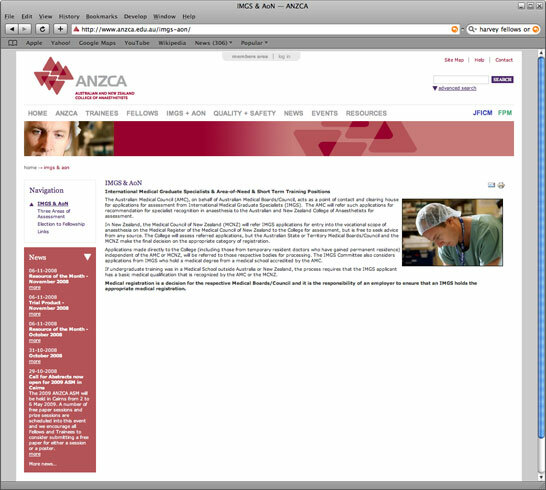 The Australian and New Zealand College of Anaesthetists has a proud record of promoting professional standards and patient safety in the many areas of anaesthesia, intensive care and pain medicine. 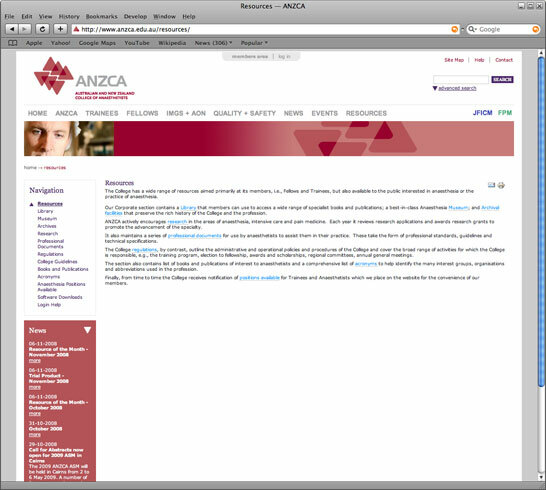 It does this through education in the science and practice of anaesthesia, intensive care and pain medicine.Mooball IT provided the ANZCA with new visual design, Plone 3 implementation and integrated web services from Plone to the ANZCA member database system. 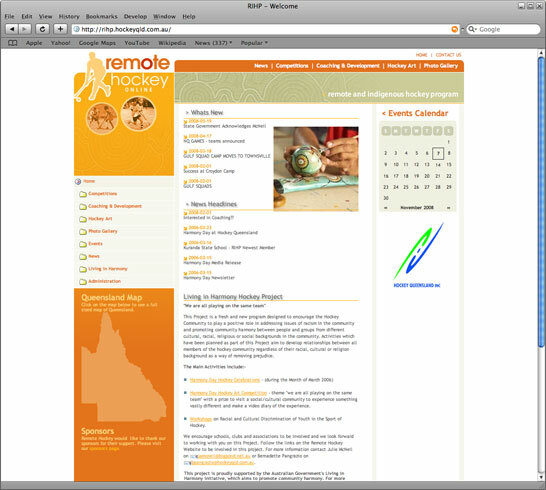 The Cerebral Palsy League of Queensland was formed in 1948 to provide services that were not otherwise available from other community agencies. 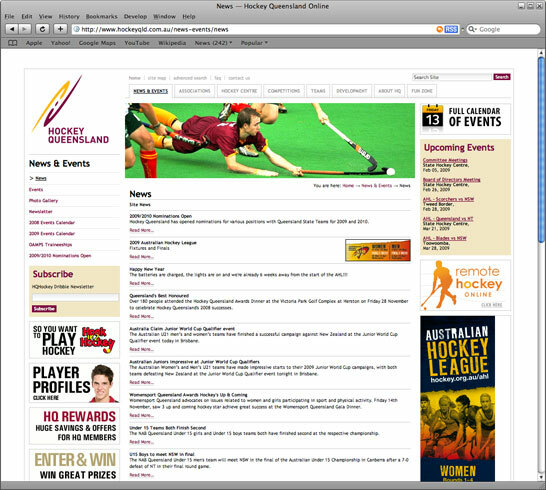 Today, the League is the largest non-government disability services provider for people with a physical disability in Queensland. 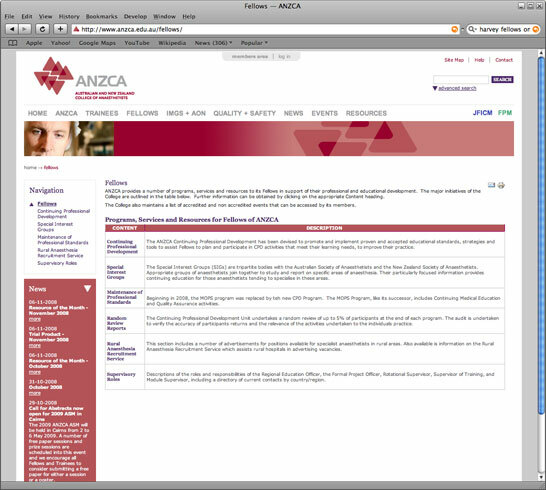 It currently assists more than 2700 people with cerebral palsy and related disabilities, and is supported through fundraising activities, support from the community, the corporate sector and State and Federal Governments.